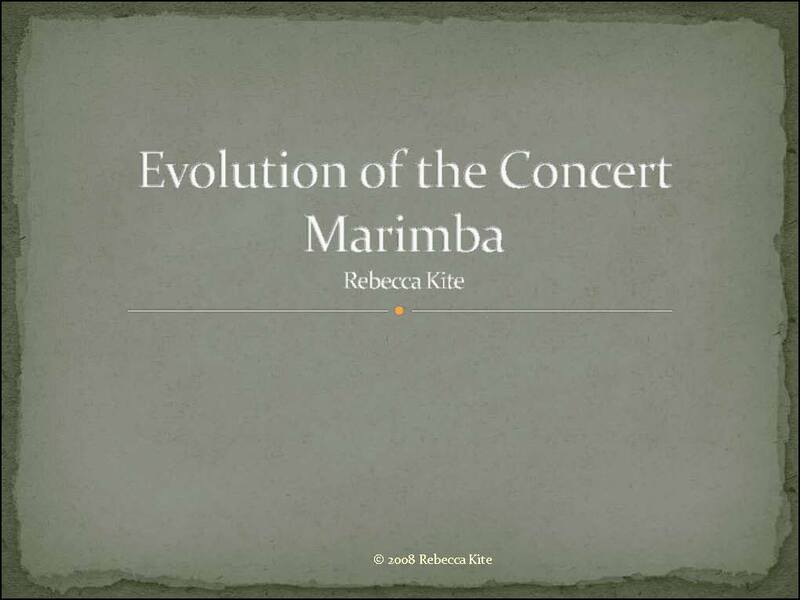 As part of my research in writing Keiko Abe's biography I researched the history of the marimba. I tell this fascinating story in a one hour presentation using fifty images I found and nine rare recordings, some almost one hundred years old which were originally recorded on wax discs. Many of the images and sound recordings are unpublished and not readily available. Listen to Keiko Abe as a pop star in the Xebec Trio! View some of the presentation slides.